Donnie Yance is a clinical master herbalist and certified nutritionist who is internationally recognized for his comprehensive knowledge and understanding of the healing properties of plants and nutrition. Donnie conducts his clinical practice at the Mederi Centre for Natural Healing in Ashland, Oregon, utilizing his unique integrative model known as the Eclectic Triphasic Medical System, which he evolved over more than twenty years of successful patient care. He is the founder and president of the Mederi Foundation, a not-for-profit organization for professional education and clinical research in integrative medicine. He is also the president and formulator of Natura Health Products, a line of advanced botanical and nutritional products for health care practitioners. Donnie is an avid researcher and lectures nationally on his pioneering work in the field of botanical and nutritional medicine. He is the author of "Herbal Medicine, Healing and Cancer" and "Adaptogens in Medical Herbalism"
Speaker: Donald Yance, RH(AHG). Continued from Part 1. Experts now suggest a second path f..
Speaker: Donald Yance, RH(AHG). Increased life expectancy and a larger number of older peo..
Speaker: Donald Yance. Continued from Part 1 This discussion focuses on the gut flora and its i..
Speaker: Donald Yance. In Part 1 we review vagus nerve physiology and discuss how positive emot..
Speaker: Donald Yance. The pathophysiology of neurological diseases, such as Alzheimer's disease (AD..
Speaker: Donald Yance. 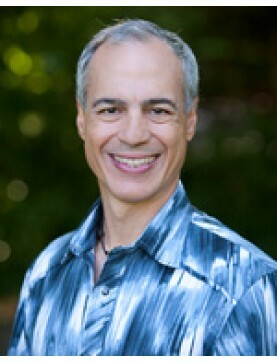 Restoring healthy weight by correcting, enhancing and balancing the endo..
Speaker: Donald Yance. The relationship to heart disease, cancer and other diseases. Herbal sol..
Speaker: Donald Yance. Presents a variety of botanical agents for enhancing and normalizing lev..
Speaker: Donald Yance. Botanical, nutritional and dietary therapies are discussed that treat th..
Speaker: Donald Yance. Continued from Part 1. Learn how to evaluate weight reduction efforts by..
Speaker: Donald Yance. Learn how to evaluate weight reduction efforts by improvements in chroni..
Speaker: Donald Yance. Dispels popular myths and provides updates on many biological markers im..
Speaker: Donald Yance. Thyroid hormone plays a pivotal role in brain function, protein synthesi..
Speaker: Donald Yance. Begins by introducing the idea of stress vs adaptation, and describes th..
Speaker: Donald Yance. The ability of the body to maintain hormonal balance can be determined b..
Speaker: Donald Yance. Adrenal exhaustion can often lead to hypothyroidism. Botanical, nu..
Speaker: Donald Yance. The latest developments in assessing cardiovascular risk factors and tar..